Irish jokes are famous around the globe. Some are good while some leave a sour taste on the mouth. 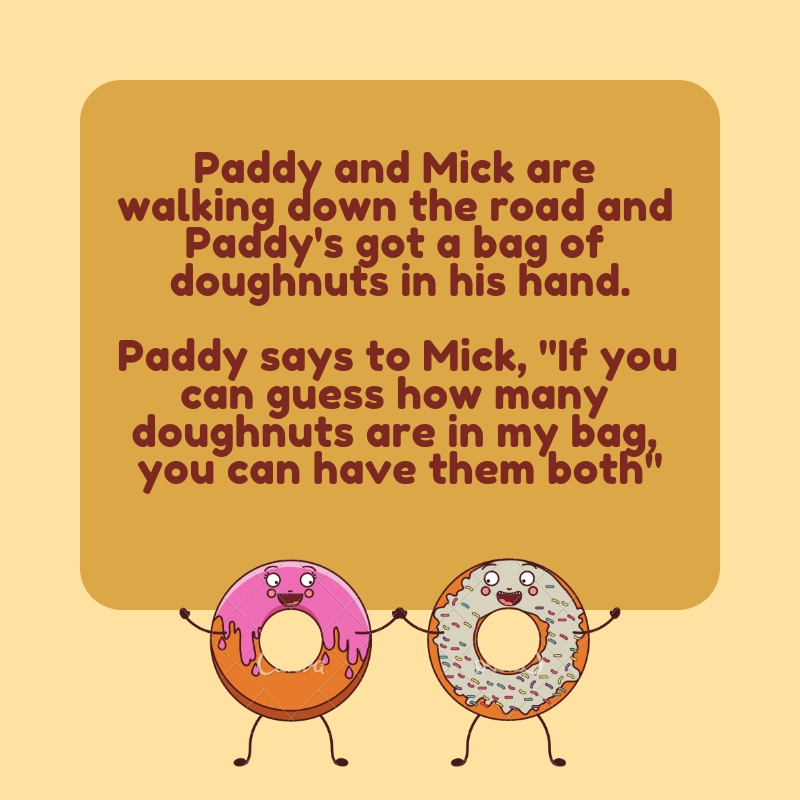 If you are the type of person who enjoys a good dose of Irish jokes, then this little collection will definitely crack you up. However, just remember that even though some of the jokes included here may be based on a real person or real events, these are just jokes meant to amuse and not offend people. As they say, there is never a bad time for a guilty giggle. So feel free to read our Irish jokes that we have gathered just for you here on QuoteReel.com! “Two weeks later the doctor is walking down the street, and he sees the patient’s wife. “Was he mad?” asks Billy. Q: What’s the difference between God and Bono? A: God doesn’t wander around Dublin thinking he’s Bono. Suddenly, the clouds parted and the sun shone on an empty parking spot. Without hesitation, the man said,”Never mind,I found one. Q: How do you blind an Irish woman? A: You put a bottle of scotch in front of her. Q: What do you call an Irishman covered in boils? O’Toole said, “No, I don’t Father. A: Cos they’re always a little short. Q: Why is Ireland the fastest growing country in Europe? A: Because it’s always Dublin. 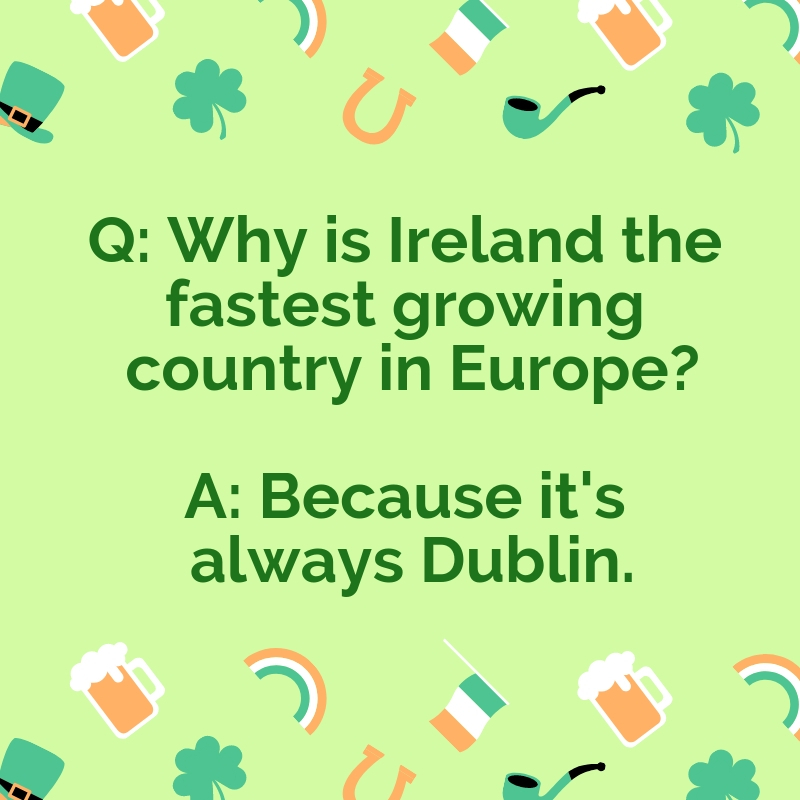 Do you like Irish jokes? We have collected 21 of the best rib-cracking jokes that will surely keep you laughing for a very long time.